In an official release by the Mono Vampire Basketball Club Facebook Fanpage, the team has confirmed Travis Romeo to replace Jason Brickman as import for the ASEAN Basketball League (ABL) 2018-2019 season. The official release notes that Jason Brickman had requested to leave the club by himself. The Mono Vampire management had exercised every option to retain Brickman, but was unable to sway the talented point guard from his strong intentions. In respect of the player’s decision, Mono Vampire agreed to release Jason Brickman and will be reinforcing the troops with Romeo Travis and Tyler Lamb. Lamb is a Thai-American shooting guard well-known in the Thailand basketball circle and will be joining the team classified as a local player. The signing was previously rumored and personally confirmed a few days prior to this official announcement. Travis has been rumored to be in talks with Mono Vampire ever since December before finally confirming the signing now following the release of Jason Brickman. It is inevitable to mention Travis without bringing up his friendship with LeBron James and he was regularly referred to in rumor mills as “LeBron’s Friend”. The 6’7″ forward Travis played with the NBA megastar during their high school years at St. Vincent- St. Mary’s high school where they won multiple championships together. Nonetheless, Travis has made a name for himself aside from merely being a friend of an NBA star by excelling at both the collegiate and professional level. He played for his hometown college, University of Akron, and finished as the all-time leader in blocked shots (161) along with 1491 points and 783 rebounds. In his senior year, Travis was named an Associated Press All-American as well as the Mid-American Conference Player of the Year. Professionally, the 34-year-old has mainly played in Europe from Spain, Germany, Israel, Croatia, Ukraine, Russia, and France, compiling multiple accolades along the way. 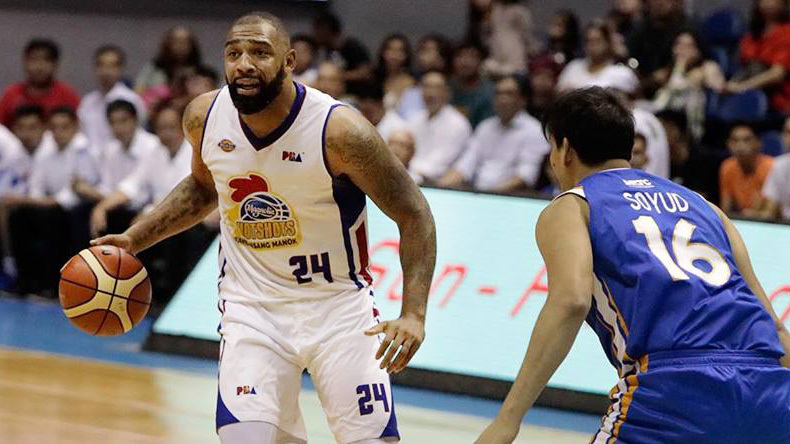 He then had two separate stints in the Philippines Basketball Association (PBA) with the Alaska Aces in 2015 and recently with the Magnolia Hotshots in 2018. Travis was named Best Import of the Conference with the Alaska Aces, but his best year so far has been in 2018 when he helped both Le Mans (French Pro A) and Magnolia Hotshots (PBA) win a title in their respective leagues. This has been a whirlwind year for me. Championship in June. My dad passing in July. Another championship in December. Roller coaster year to say the least. I want to thank @victolero62 and the rest of the coaching staff for believing in me. The management of the San Miguel group. The medical staff. The utility guys. My teammates for accepting me as one of their own. Last but definitely not least thank you to all the fans, without your love and support we would not have been champions!! TRAVEE GONE! Travis has also played as a Naturalized player for the Macedonia national team. The official release notes that both Lamb and Travis will join the team as early as their January 30th game or as latest as the February 2nd game, both against the 10th place Wolf Warriors. The Mono Vampire Basketball Club are currently at 9th place in the ASEAN Basketball League (ABL) standings with a 2-11 record. ← Kerr พลาด!! วางเดินพันกับ Demarcus Cousins ไว้ผิดเกม!